Within the Faculty of Medicine and Dentistry we have an active and expanding portfolio of prizes and awards that recognises the academic achievements of students in their individual courses and across broader skills and activities. In 2016 our students introduced their own awards to recognise the commitment, hard work and inspiration of individual members of staff. 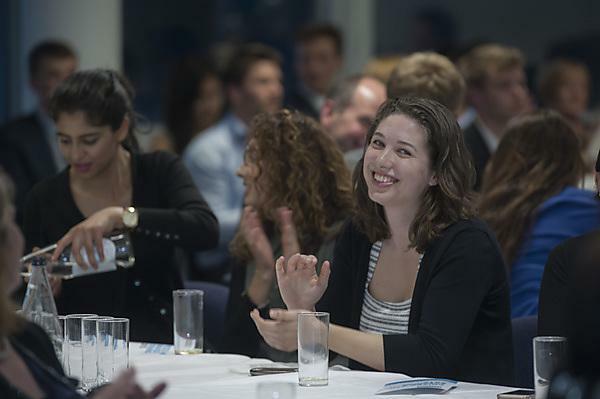 Each year we hold a prize giving evening to celebrate these successes in the company of family, friends, sponsors and members of staff from our Schools of Medicine, Dentistry and Biomedical Sciences. The Dean opens the event and the three Heads of School introduce their students and the prizes they have won. A photo opportunity captures the presentation to winners by our sponsors and the ceremony is followed by drinks and canapes. We are grateful for the ongoing support and generosity of our sponsors. As prizes and awards evolve, we would welcome new sponsors interested in backing one of the existing prizes or adding to the portfolio of academic and community engagement activities recognised. Rewarding excellence encourages our students to keep aiming high and to meet the challenges of their future healthcare professions.